Chef Fabio Viviani show us a classic pasta dish that will make any Italian grandmother proud. Shows us how healthy Italian cooking can be a breeze! 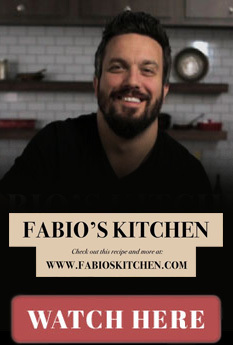 Celebrity chef Fabio Viviani shares the recipe for a shrimp dish perfect for summer grilling that uses his favorite olive oil from Bertolli. Celebrity chef Fabio Viviani joined us on Good Day Chicago to make his Chianti Wine Poached Pear and Strawberry Salad! Yum!